From the year 1875 until the year 1980, the southwestern region of Pennsylvaniawas known as the "Steel Making Capital of the World." The area produced the steel used in building some of the greatest icons in the United States, including the Empire State Building and the Brooklyn Bridge. During both World War I and World War II, steel workers in Pennsylvania helped carry the defense of the country on their backs, producing more steel, armaments, and armor than entire countries within a single year. It has been several decades since smoke and fire has belched over the skyline of Pittsburgh, and several of the legendary mill sites in the region have been dismantled. However, the magnitude of steel-making contribution of the region, as well as its historical significance to the country, demand that the area's story be shared and its sites preserved. The Rivers of Steel National Heritage Area was established in 1996 by Congress in order to preserve, interpret, and manage the natural, cultural, and historic resources associated with Big Steel, as well as other industries related to it. The National Heritage Area of Rivers of Steel encompasses more than five thousand miles in the counties of Westmoreland, Washington, Fayette, Greene, Butler, Beaver, Armstrong, and Allegheny. Rivers of Steel builds on the remarkable transition of the area from its history of heavy industry to the new industries of diversified services and technology. The Heritage Area also bolsters the new economy of the region by promoting economic development and tourism based on the historical saga of the steel industry. The mission of the Rivers of Steel, a multifaceted program, includes cultural conservation, historic preservation, resource development, education, and recreation. Within the seven counties that make up the National Heritage Area are numerous attractions and sites that bring history to life by offering visitors and local alike with an opportunity to learn more about the role of the region as the world's steel making capital. The Rivers of Steel National Heritage Area is made up of five different journeys that each share a piece of the steel-making story of southwest Pennsylvania. It's recommended that visitors start their exploration of the area with the Big Steel journey to explore the mill towns of Pittsburgh, Braddock, Duquesne, and Homestead that acted as the backbone of the steel empire created by Andrew Carnegie. The Mountains of Fire journey takes visitors along the Youghiogheny River and through the town of Connellsville. This area of Pennsylvania is situated on top of the Pittsburgh Seam, one of the country's most valuable coal seams, and shares the tale of this coke and coal capital. The Rivers of Steel's Fueling a Revolution journey travels through the Upper Mon Valley and the town of Brownsville. 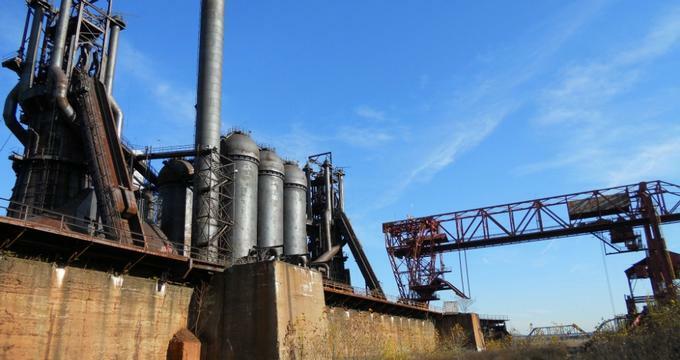 During the trip, visitors will learn how this hub of transportation was crucial to the coal industry, and how it developed to meet the needs for fuel of the region's massive steel mills. Mosaic of Industry journeys through the towns of Kittanning, Tarentum, and New Kensington. Visitors will discover a celebration of industrial and cultural diversity when they visit the sites of other industries related to steel, such as glass and aluminum.